These two photographs were taken from a new roundabout on Portrack Lane. This was built very close to a concrete road bridge which went over the Billingham Branch Line. The disused trackbed of the Billingham Branch leads to the Freight Liner terminal. Does anyone know its official title? Was it the only one in the Teesside area? How did trucks get into the terminal? When did the Freight Liner close? The embankments which border Lustrum Beck can be seen on the right of the photograph. I have found some very interesting reading about Church Row and Portrack Lane and its development. I used these roads to get to Fred Kidd’s Engineering Works, now long out of business I think in the 1960’s. However this firm seemed back to Roger’s of Stockton who went bust in about 1926. Fred was their engineering shop Forman and formed his new firm from what was left of Rogers. In those days the firm was in I think West Row Stockton certainly it staid in the original factory until just before the second world war. Fred built his new factory down Church Row Stockton. It was brand new and had its own foundry for Brass and new metals like Duralamin? which was a new metal then. In those days people had deep seated jealousy of Uncle Fred, all kinds of things happened at there factory like pouring oil on grindstones and allowing metal cutters to ruin lathes. Unions were very strong and the Airs Brothers seamed to be in charge of that side of live. Fred was a time and motion man and of course this was not popular with workers except if you were on piecework. Time was money – and I can understand Uncles thoughts to keep the firm going. I think about 250 people earned their wage packets there so there were some positive outcomes to the firm despite labour problems. They had plenty of there own inventions , like the first animal feeding waters bowls for each cow stall. A clever idea of Fred Kidd and Son. Does anyone know of any incidents or deaths on this premises? Was their any incidents or casualties? I’d really appreciate a response as part of my research. Also is their any more helpful links about this place? Adding further comment to the Freightliner Depot, it was in the wrong place and possibly at the wrong time. You could only get one train in at a time on the line in which was a dead end so one train was unloaded with containers to deliver locally and then reloaded with out going containers. We drivers would take out the containers around the area and bring back stuffed containers as we called them, you very rarely saw the containers unloaded and normally it would be a quick turnaround. The Government was trying to cut expenditure on roads by getting heavy goods onto the rails, there were not enough modern depots for containers and it was a time when Union troubles prevailed, the Unions fought every move to make things move more quickly, the result was Rail could not compete with the Haulage industry. As well as Freightliner as an agency driver I also drove HGV’s for other local companies and saw the difference, you drove to the Tachograph and the correct breaks Freightliner was often more breaks than driving. Some companies turned a blind eye to extra hours driven as long as it did not show on the Tachograph so I would get a call out, collect the works van drive to Derby say and bring back the truck, the driver is out of hours and there is a Police check on the road. I would drive the truck back he would drive the van? It was essential the truck was back loaded and out the next day, trucks cost money. That urgency was never present at Freightliner unless ICI cracked the whip wanting a ship loaded, they came into the docks with a rapid turnaround schedule so the containers had to be moved we often had private trucks helping and you noted the difference in work load. The Idea was good the planning and provisions to move containers bad, when they moved to Wilton things improved though I stopped working for them, it is mainly road transport moving containers now though as the containers get even bigger Freightliner could come into its own again. Would I drive HGV now, not on your life. In my time they could keep tabs on you though I would never switch the cab phones on, with the modern way of delivering exactly when needed the pressure on drivers must be at times very hard. There is definitely a place for Rail once they can put in the infrastructure, the sooner the better. The branch was known while I was a guard, as the Beck Branch, the Freightliner yard if I re-call was a dead end yard (one way in and one way out) trains or Loco’s accessed the yard via a ground-frame operated by the yard Supervisor at the northern end. A few times I have worked trains through the Beck Branch for its entire length, this being leaving Haverton Hill East Grid and coming out at North Shore. the branch was worked by electric token, but I think that Gordon Armes maybe able to enlighten on this. Also at the Haverton Hill end trains went into North Tees Power Station. Trains could leave the East Grid from Haverton Hill South Box and travel direct to the Billingham beck branch, where trains from the South Grid had to run round on the loop between Haverton Hill South and Belasis Lane Box. The only sidings on the Billingham Beck Branch was the Freightliner and I.C.I. C.C.F. plant that where controlled with the electric token. All other sidings being controlled from the South Box. I think you will find that it was not the east grid that trains left from at Haverton South but ICI sidings I am aware that trains from the south grid had to run round but I was letting Bill know that the grid he would have left from was the south grid I realise you worked at Haverton South in your short railway career but I have diagrams that show the ground frames at ICI petrol sidings and reach wharf. Hope you are well. On the track diagram East Grid is shown as inward sidings and South Grid as outward sidings. 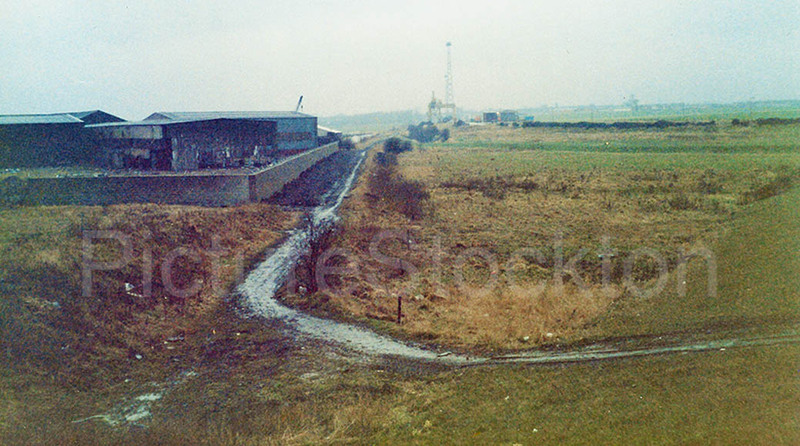 I have numerous photos of trains leaving (east grid) inward sidings to travel over Billingham Beck Branch. Also when was the petrol sidings and reach wharf attached to the Billingham Beck Branch. Until September 1968 the only access was on the working line controlled from the South Box. please put your photograph of the haverton south diagram on this site it would be interesting to see, i also have numerous photos of trains leaving ICI from every direction possible, which prove nothing unless we see the track diagram, the rest i will not bothering answering as it is almost fifty years since you left the railway mr gilbert and obviously memories fade with time so i will leave it at that rather than argue about trivialities. Bill I worked on the east grid 1955 boiler boy, Drikold was the most important usually pulled by York B16, I was there when the money was found in a similar drikold container and the ICI men were rewarded 5 pound each. Those days thousands of wagons past through with their contents going all over the world. Good days. I seem to remember the Stockton Freightliner Terminal being visible from the A19, roughly between where the current Tankclean facility is now and Holme House. There was a second one, Freightliner Cleveland Terminal, located at Wilton until quite recently. Both were located at their respective sites to serve ICI. Freightliner now operates its trains from Tees Dock. The freight liner Depot at Portrack closed in 1989, it was moved to the ICI wilton works alongside Redcar Road, the main reason being a lot of the work was from ICI Wilton to the docks. The containers were getting bigger going from 8 feet high to 8 feet six then nine feet, that meant they held more and the roads around Stockton at the time were limited to 38 ton’s. The 44 ton capacity came later. The main line in and out was the line under Norton road and past Blue Hall as it was then called, the low bridge meant low wagons were needed for the 8foot 6 inch containers and had to be ordered in for the purpose. The truck entrance for the Depot was on Portrack roundabout and is still there as the entrance to the new Portrack trading estate. The transport office was half way between the entrance gate and the container offloading point where all traffic was checked in and out. In my fourth career as an Agency driver I was almost permanently driving for Freightliner and enjoyed the job once I had tamed the Shop Steward to such an extent that when he went on Holiday he told the manager only I could drive his truck and they obeyed which tells the state of things at the depot. Freightliner had their own shunters at ICI wilton loading mainly Nylon Salt for export or shipment to UK manufacturers. It was fun watching drivers from other transport companies trying to reverse off a bank with an adverse slope into the loading docks which had six inches clearance each side then realise the only way out of the cab was through a window, the docks were longer than the trucks. I saw grown men cry as they tried to dock the truck and then one of us would reverse the truck for them. We did cover an area from Tyne down to York, I did Glasgow a couple of times and the freight could be anything from Bananas to Tyre’s. on one occasion I swore the container was empty then discovered it was full of plastic toys when it was being emptied. The path that became Freightliner we called South Road Black Path to Lambert’s Farm then on to Newport Bridge, I walked it many times to Middlesbrough then on to my Grandmothers in North Ormesby. That was also the area where the Rockets were mounted as AA manned mainly by the Home Guard during the war. That area has had many uses pity it cannot write a book.